as i travel through the “real world,” fashion continues to become a very interesting and fun part of my life. this morning while i was picking out my office outfit, these two pieces whispered, “wear us together.” i did, and it was a wonderful idea. 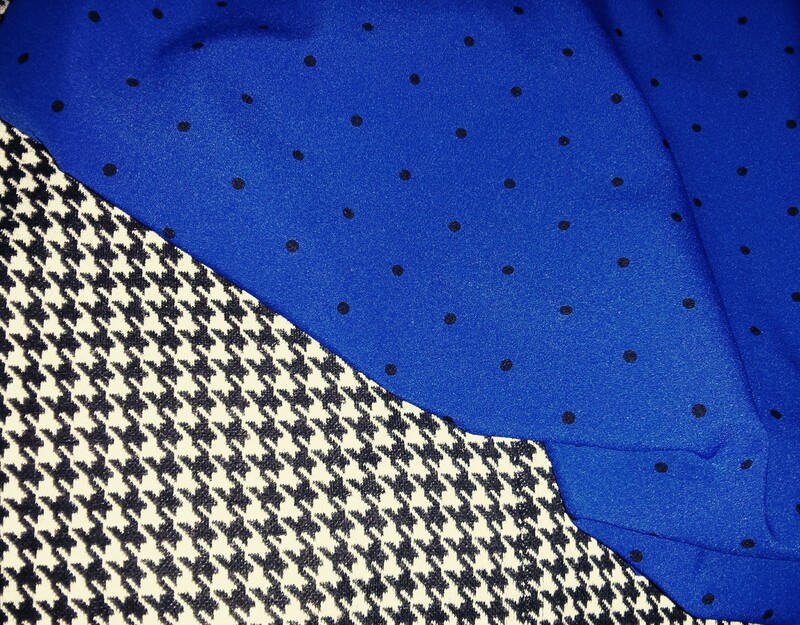 mixing the blue polka dot print blouse with the houndstooth skirt is a quirky but intriguing match. the polka dots are subtle enough that they are not overwhelming, but they bring some extra interest to the outfit overall. i am usually a tad hesitant when putting prints together, but i thought these just looked so cool together. i threw on some black tights, black pumps, silver jewelry, and out the door i went!